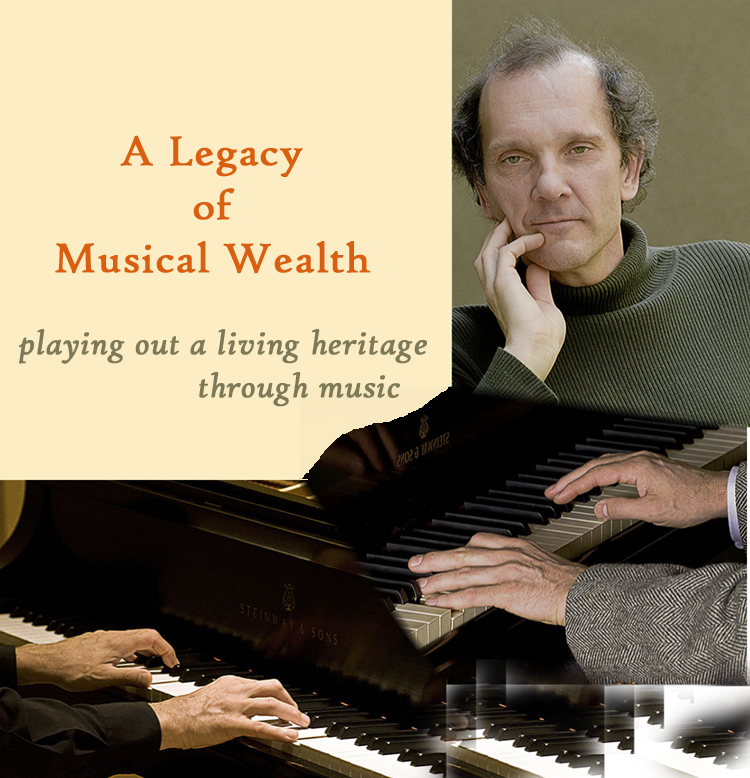 A LEGACY OF MUSICAL WEALTH grows out of this artist’s realization of how fortunate he was. He had a lifetime of exposure to extraordinary people who imbued in him a great musical tradition taught at the highest levels. This is a personal journey of artistic experiences that impact the way Rollin Wilber engages with music. He relates stories that reveal powerful moments of understanding, insights he feels can be universally shared with his listeners. Musically-inspired monologues such as ‘relaxation from within’, ‘the unlimited personal expression’, ‘music is magic’, and ‘self-study’, are shared. This seminar is the background to the solo recital Rollin Wilber gives in February & March, titled, “A Music Legacy in Concert”. Musically-inspired monologues on ideas such as ‘relaxation from within’, ‘the unlimited is possible’, ‘music is magic’, and ‘self-study’, are shared. Musical selections by C.P.E.Bach, Scarlatti, Beethoven, Grieg, Schumann, Chopin, Debussy, Rachmaninoff, Villa-Lobos.